The fund was created to support the development, education and training of U.S. female football coaches and scouts pursuing careers in collegiate or professional football. As of today, the fund is now accepting applications and will reward its first grant this year. According to the WSF, the fund contributes direct financial assistance towards job-related expenses, such as housing expenses, to female coaches and scouts who have shown the potential to advance in their careers in football in the United States. “Our endowment fund will ensure that women enter the leadership pipeline in football.” Pioli said. Pioli currently serves a number of organizations that work to make a difference in the community. He serves on the board of directors for Ross Initiative in Sports for Equality (RISE), The Women’s Intersport Network for Kansas City (WIN for KC), and the Black College Football Hall of Fame. He is also on the board for College for Every Student, a national nonprofit committed to underserved youth, most of whom will be first-generation college students. In addition, he founded the WIN for KC Pioli Scholarship, along with several other academic scholarships geared toward first-generation college students. In the fall of 2018, he joined the WSF Board of Trustees. Individuals interested in receiving grant money have to go through an online application process. The application is reviewed by a selection committee, comprised of female coaches and scouts in the industry who have competed in elite athletics. The committee decides whether the individual has demonstrated the qualities of a collegiate or professional football coach. 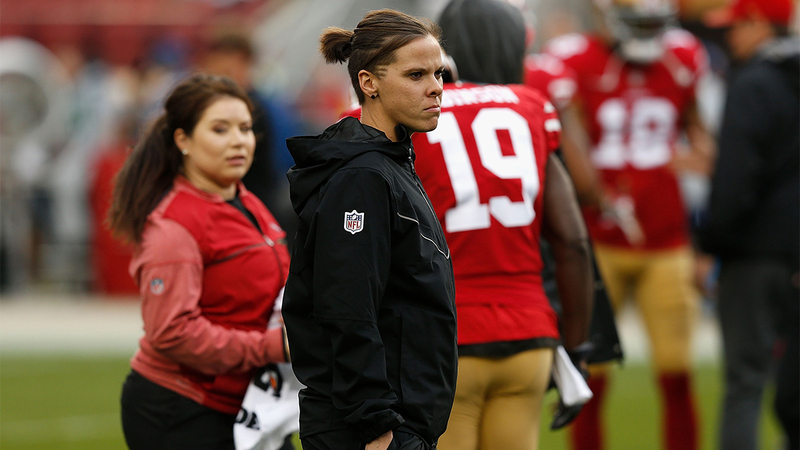 The committee includes Katie Sowers, offensive assistant coach for the San Francisco 49ers and two-time USA Women’s Football National Team member and co-founder of the Women’s National Football Conference (WNFC), Odessa Jenkins. The guidelines to being an eligible candidate include specific criteria such as financial need, potential for advancement, lack of support from traditional sources, potential impact of grant on advancing women in college or professional football and contribution to greater visibility of female athletes. The grant amounts can range between $2,000 and $10,000.